“Deadweight is based on the Greek myth of King Midas, who is given the power to turn everything to gold with a touch, which then backfires when he turns his daughter into gold. Our adaption of this focuses on struggles of mental health,” declares Seven Stories High vocalist Rhys Hyett-Ferrier of the forthcoming sophomore EP. Sonically the band, who are influenced by State Champs, The Wonder Years and Four Year Strong, describe the release as “almost split in two – half follows a fast upbeat pop-punk feel, which gets people dancing and jumping around. The other is heavier – fuller sounding and darker in feel, which you can chant and scream along to.” Yet, the EP flows as one piece of music, with each track written to fit the narrative, whilst being open enough to interpretation for listeners to make a personal connection. 1) Apathy: Every once in a while, one of us will turn up to practice with a fully written song completely out of the blue. This is exactly what happened with “Apathy”. Rhys showed us the song and we got to work adding riffs, throwing in obscure references and sowing the seeds for the EP with an idea for a theme that would tie the whole release together. Musically, it’s no holds barred, textbook pop punk. It was a lot a fun weaving some of our most emotionally honest lyrics yet into the biggest, catchiest riffs we could conjure up. “Apathy” sets the stage for the story of King Midas which is told over the course of the EP. As a standalone piece, it discusses the taboo surrounding mental health and contends with the social norm of sacrificing your own happiness for fear of rocking the boat. 2) Midas: This one fell into place over two months of chipping away at it, iterating and refining. The idea was to really establish King Midas as the antagonist of this story whilst, at the same time, putting into words the emotions caused by the fall of someone once considered a personal hero. This is the slow, sad song of the EP but it is probably the most powerful track both sonically and lyrically. 3) Hoax: Simply put, “Hoax” is about not needing to believe in a god to find purpose. We are by no means anti-religious and there is more to the song than just being an Atheist anthem. This song pushes the King Midas narrative of the EP, drawing parallels between ‘Midas’ and ‘God’. 4) Alchemy Part I: “Alchemy Part I” sees King Midas’ daughter, Marigold, moving on. The Greek myth ends with him giving up his gold for her. Harking back to track two (“Midas”), where we see Marigold losing all faith in her father, our story ends with her unforgiving but stronger for it. Our 00s emo influences are unashamedly out in full force in the music and vocal melodies here with a modern pop-punk backbone. Lyrically, the piece outlines the futility of hope. The song was written after a very dark year personally and portrays a newly developed stoic outlook. 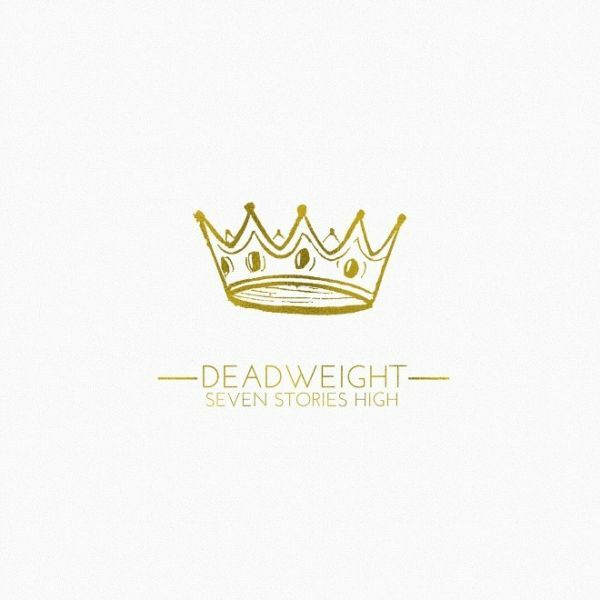 Seven Stories High self-release Deadweight on November 24th, 2017. You can pre-order via their bandcamp page.